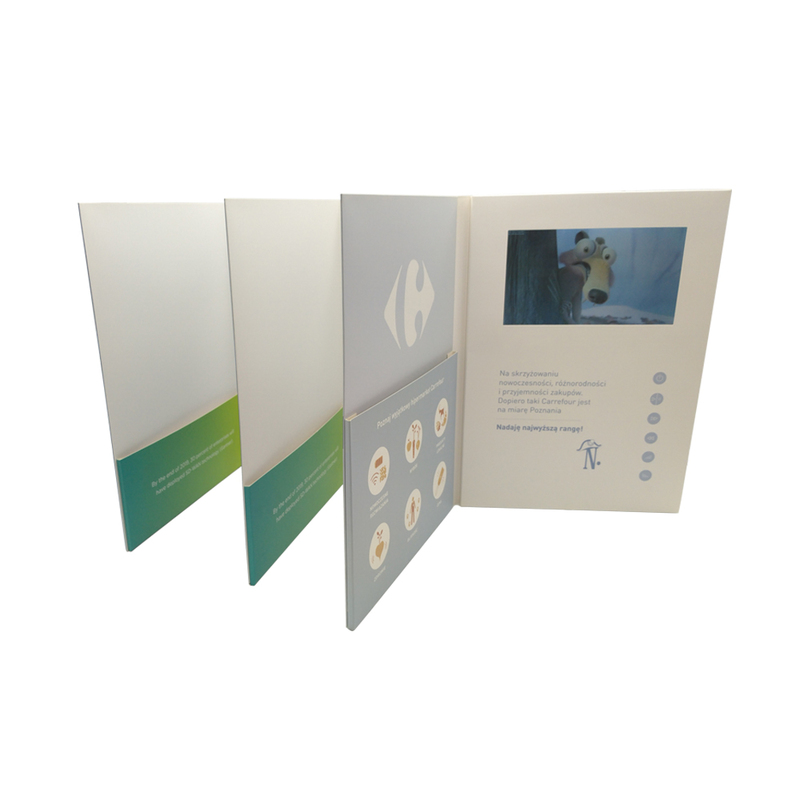 Our A4, 7 Inch video brochure gives you maximum impact on the A4 size card type. 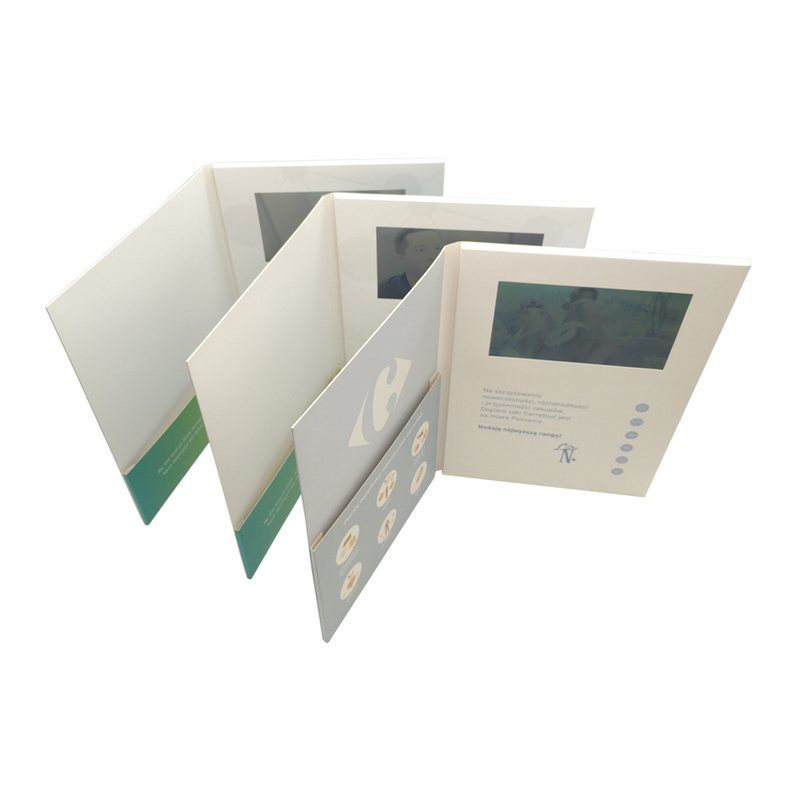 We also offer this video screen size on A5 card, and you can find this on our main shop page. Many of our clients feel that the A4, 10.1inch screen can be slightly too big, and want to show off more graphics on their video card so they opt for this option. 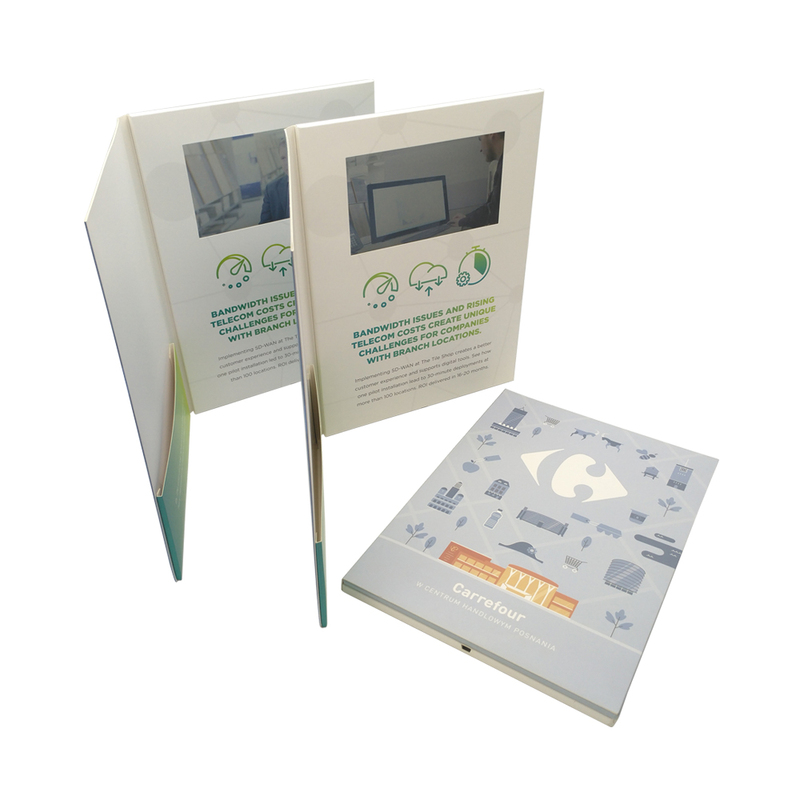 A4 video brochures are a popular choice for companies who have a lot of written information to convey to customers. 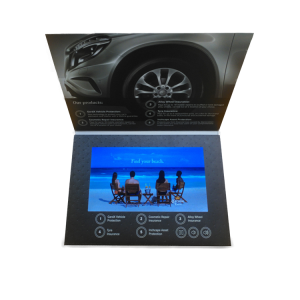 Not only is the video screen a good size for reading PowerPoint presentations or detailed graphs, it is also housed in an A4 surround which provides ample space for an accompanying brand message, or pockets for information sheets and leaflets. 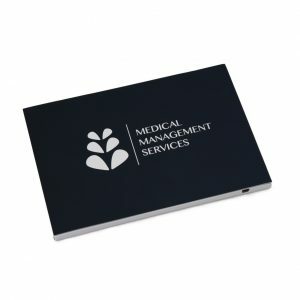 A4 is the perfect size to carry in a briefcase or conference wallet. 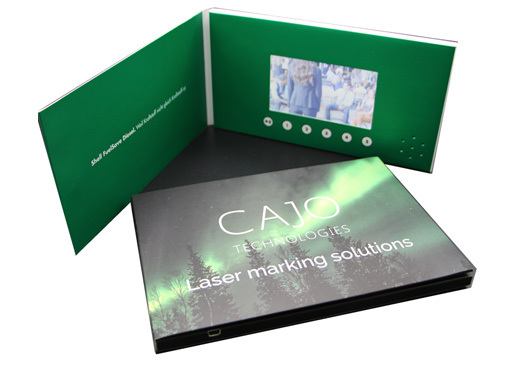 It is a popular choice for companies that attend large exhibitions and meetings and wish to give delegates a take-home message that is eye-catching, comprehensive and portable. All video content can be locked, which means that you can control the message, particularly if the content your company wishes to share is of a sensitive nature. The order process is incredibly simple, you can either process the order directly on this page, or you can message us at info@vbmhub.com if you would like us to process the order offline or if you have any bespoke requirements. 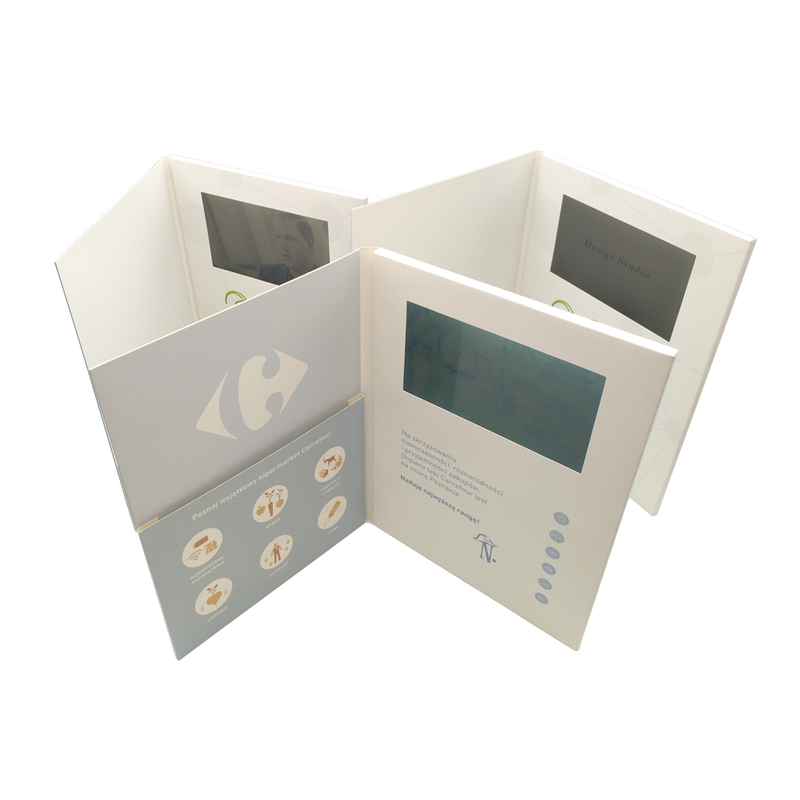 We also want all of our clients to experience the quality of our video brochures, so please feel free to get in touch with us to request a free sample. 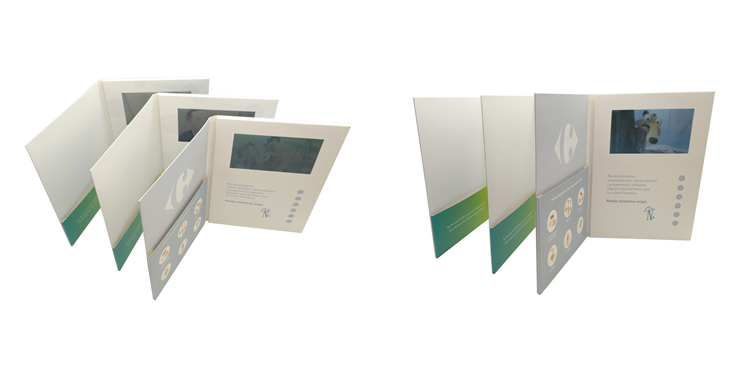 Currently, we only have A5, 4.3inch, 5 inch and 7inch brochures in stock, but we are hoping to get some more samples in the A4 video brochure size. Note: if you would like to request a specific bespoke sample size we can order this for you but there will be a cost. 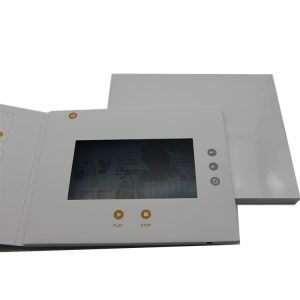 We were using VBM's video brochures for one of our client events in London and they totally stole the show!Customers highly appreciated the video brochures and mentioned that they found it much easier to learn about new models using a VB that visualises it for them. 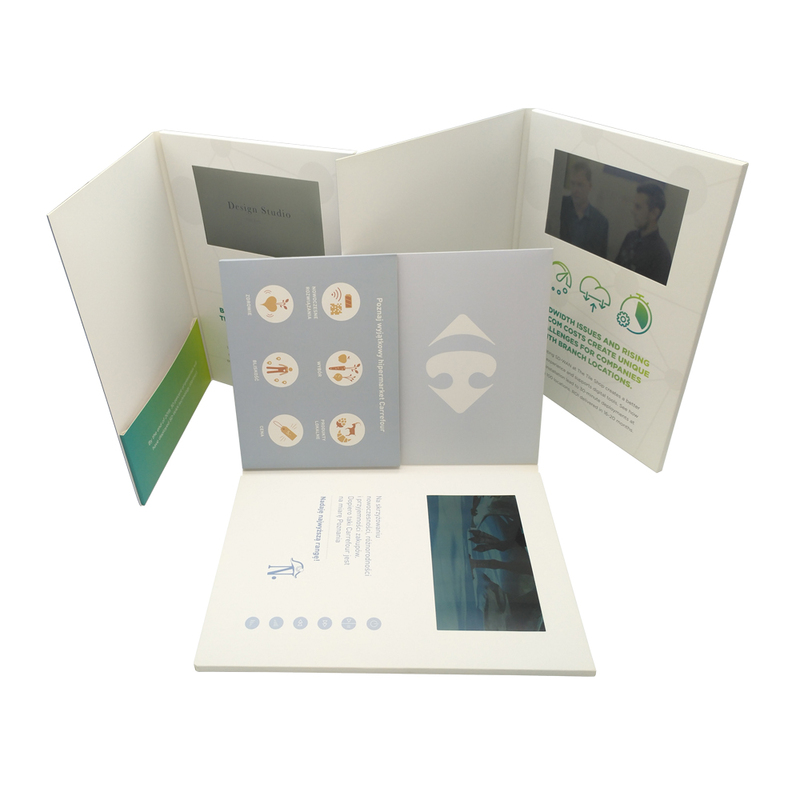 Some of our clients even asked if they could take the brochures home with them in order to use them as personal greeting cards.Amazing sales tool! Our account managers already ordered a new batch for our upcoming event in NY. Thank you VBM, I look forward to working with you again! 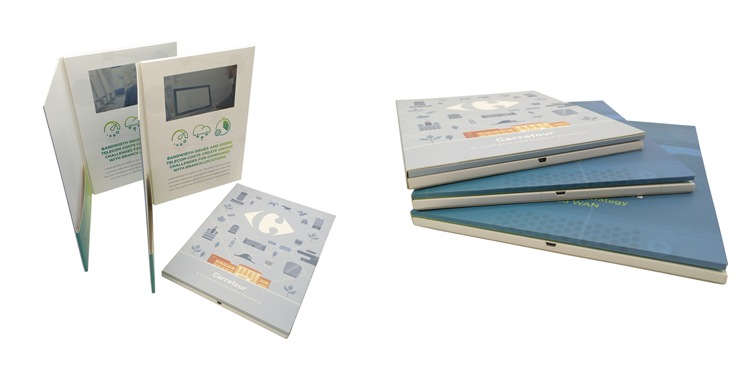 We ordered video brochures from VBM for an event and used them to show off our products. Everyone loved them. Will and the team took excellent care of us and advised us on the perfect sizes and design. We ordered the video brochures on Friday, a week before the event and VBM made sure they arrived on time. Excellent service and a great team to work with.